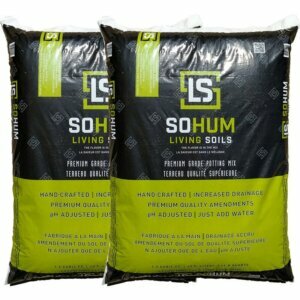 Dr Marijane Root Probiotic and Soil Conditioner is not intended for use with SoHum Living Soil, and is only intended for other soils without root probiotic and soilless mediums. Dr. Marijane’s advanced formula combines three strains of beneficial bacteria with a natural synergistic active to improve the bioavailability of your fertilizer program, strengthen the development and structure of plant roots, increase vegetative growth, and boost production. And because we care, we make it natural. It’s certified for organic production – which means no genetically-modified organisms and no synthetic chemicals. The three strains of highly functional beneficial bacteria were isolated by scientists from natural soils and selected based on their abilities to improve nutrient availability. We have combined the microbial strains with a unique all-natural synergistic active that enhances their activity, and helps to hold nutrients where the roots can use them. 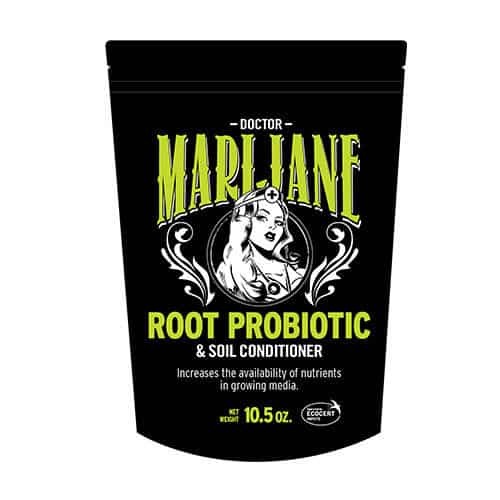 When Dr. Marijane is added to soil or soilless substrate the bacteria activate and begin to multiply, surrounding roots in a cloud of bioactivity. You don’t have to take our word for it. The Doctor has been tested and proven by growers across North America and is adopted as a best practice by commercial cannabis producers.